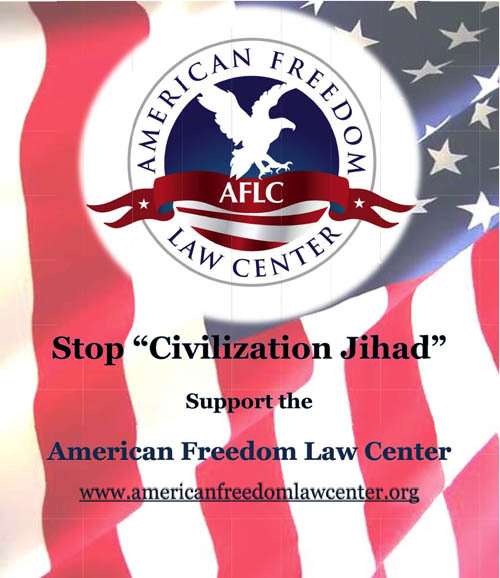 Answering Muslims: The Fair Use Vs. Sharia Countdown! The Fair Use Vs. Sharia Countdown! Hmmm. I feel a lot of videos coming on. Copyright Law protects intellectual property, which is why you're not supposed to sell bootleg copies of the latest Batman film. However, due to the strong tradition of Free Speech in the West, Copyright Law allows people to use short portions of copyrighted material for purposes of education and criticism. This is why you're allowed to quote from books or articles in your own books or articles. There is no Copyright Law under Sharia. 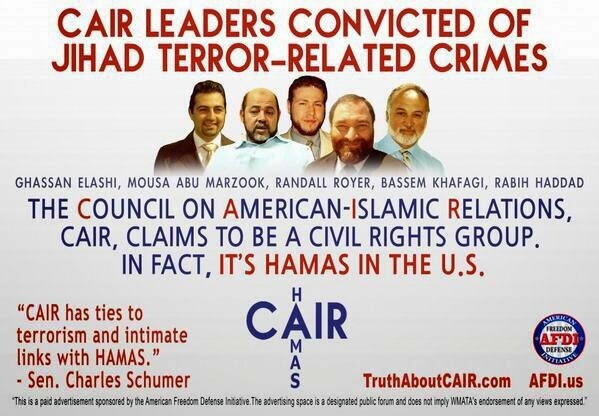 However, Islamic supremacists gladly use Western laws when they can manipulate these laws in defense of Islam. Recently, I posted a YouTube video titled "Science and Islam: A Reply to 1001 Inventions and the Library of Secrets." In the video, I play short clips of an Islamic supremacist video, and I respond to the clips. This is perfectly legal under Copyright Law, and is a textbook example of Fair Use. 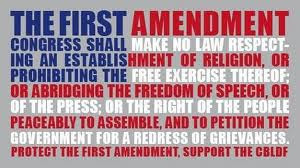 Nevertheless, YouTube isn't in the habit of defending the rights of critics of Islam, and they took down the video in a matter of hours after 1001 Inventions filed a false copyright infringement claim. I then posted the video to LiveLeak, hoping that they would have more respect for Fair Use. No such luck. The video was taken down this morning in response to a false copyright infringement claim. I'm guessing 1001 Inventions has some intimidating lawyers, and who wants to stand up to intimidating lawyers on behalf of critics of Islam? The irony here is tremendous. The 1001 Inventions group is working day and night to convince Westerners that Islam supports scientific advancement. Yet one of the cornerstones of scientific advancement is having the freedom to criticize opposing views. By attempting to stifle all criticism of Islamic supremacist claims, 1001 Inventions has shown their true colors, and their true contempt for open inquiry. All of this has inspired my Fair Use vs. Sharia Countdown. Is there a single video provider out there willing to stand up for our right to question and criticize Islamic supremacist nonsense? Only one way to find out. I've uploaded the video to several video sites. If one of them refuses to back down to Sharia advocates, you know which site truly believes in Western values. DailyMotion is down for the count! "1001 Inventions" must be paranoid to spend this much time scouring the internet in search of critical responses to their video! Science and Islam: A Reply to “1001 Inventions and the Library of Secrets” from acts17apologetics on GodTube. The video has been removed from Vimeo after only a few hours! It seems 1001 Inventions spends a great deal of their time blocking criticism! Science and Islam: A Reply to “1001 Inventions and the Library of Secrets” from David Wood on Vimeo. I'll be writing complaints along with you if they continue to take this vid down. This is a good test to see who truly upholds Western values. They really picked up on the Live Leak version quickly. Perhaps they have discovered the blog. Hello, Islamic supremacists! Hello! Would you please quit harassing Wood? It's gotten quite old, and you should know that there are legal penalties in place for abuse of copyright claims. Very costly penalties. They must be extremely terrified of criticism if they're this paranoid about someone questioning their videos. I will gladly upload the Video to my own server and link it to a webpage "1001falsecalims.de" and see if my provider will take it down too ;) ..
you just woul have to send me the video somehow. I think Dr. Wood should think about making his videos into articles using the transcripts as a starting point. You should be able to download the video from one of the sites it's still posted on. Sites like keepvid.com allow you to download videos from hosting sites. I don't see why they would go through the trouble of getting your videos removed from each of these sites even after they've seen that you're willing to officially dispute their claim of copyright violation - unless they think that they can somehow persuade the video sites to remove them completely, even after the complaint has been reviewed and the supposed copyright violation claim is seen to be invalid. It's so stupid. They're monitoring your blog so they can see where else it is to try and block it. Oh yeah I-SLOB-osupremo-FACISTS pigs! Yeah, I called them pigs. Come out in the open and post here. QUIT BEING PANSIES AND FACE YOUR CRITICS HEAD-ON! David, can't you redo the video without playing their parts? Just make it a laundry list. If their video isn't in the snipets they can't block it, and then post it as a reply to every video they have on their channel dealing with this subjects. HI there scaried to death muslims from 1001 inventions haha!! I'm happy I saw the video before it got pulled. Let's show those jokers how you can't bully the truth! David, maybe you can try uploading the video directly into this blog. The video is still on vimeo. lets put up comments on the original video to expose the facts. BTW David, you are blessed brother, ... thnx for sharing the truth. hi "1001 inventions" you belong in a women's gym. Can I assume that the Hadith that says truffle water cures eye disease is not on their website? I'm troubled to hear video by a fellow Christian and outstanding apologist for Christianity, Acts17 has been removed (http://www.godtube.com/watch/?v=WDKPGGNX), but why? the place where the video was claims it was because of copyright violations, but this is nonsense. anyone who actually took the time to see the video would see it uses clips to refute a video, and is completely within fair use. Either, you saw the video, and knowing it did not infringe removed it anyway or because you assumed it violated copyright, without giving a brother the benefit of the doubt! I see there are plenty of videos critisizing Islam here, so this action is all the more baffling, as it doesn't apear stem from any fear of Islam! I pray you will make this right, and restore the video. I really don't understand WHY did removed it. It makes no sense, there really are a bunch of videos criticizing Islam. It looks like they simply took a Muslim's words over a Christian without checking the facts! the request number is #43265 on Godtube by the way. 1 - That this video is accused of copyright infringement when the only 'infringement' done is that David used short clips from the video, here and there. 2 - That practically ALL these video sites actually complied and quickly took action without actual justification or explanation of their action. Wow, these hypocrites are probably sitting and drinking camel urine with the muslims. They are quick to act on nonsense but fail to remove the crap islam propogates. If their claims are so truthfull why cant it stand on its own, they rather hide responses to keep the poor ummah in the dark. This is the same tactic used by answeringchristians.wordpress. According to bukhari 7:71:591 muhammad did invent a cure for all disease.."black cumin is a healing for all disease except death".. Also according to sunaan ibn majah 5:3452 muhammad said that honey and the quran are the remedies for all disease..
Why dont the muslim post this information on their websites so that we can give them credit for this...or perhaps have a good laugh at this absurdity. Oh by the way. Last I checked there were still some diseases in the world. 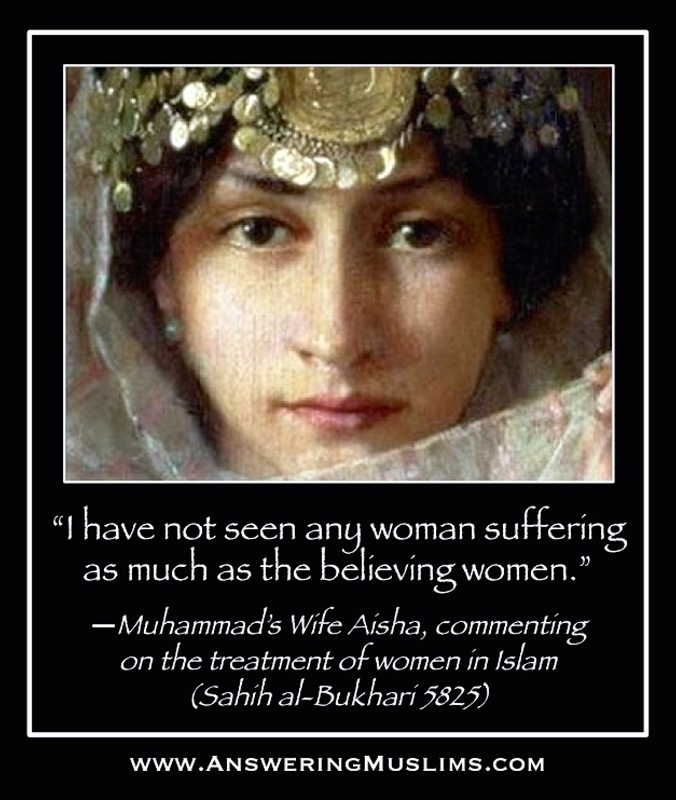 Another lie courtesy of their "prophet" muhammad. Laughable indeed. If people unsubscribe from Youtube they ask for a reason. If people criticize YT's censorship as a reason we will see if they really do stand for freedom. Also google owns YT and they allowed the Chinese to censor or block some internet content but I think google later reversed that. The thing about Youtube is, it is great for information and storing or uploading videos. But I could get along without it. I never touch Godtube, think they're hypocrites. I have used the others occasionally. I'M SO HAPPY THESE VIDEO WEBSITES HAVE BLOCKED DAVID WOOD. IT'S CALLED "KARMA" and "IRONY"
Have u noticed in the beginning of the video it has a warning that reads in part. "This film is for personal use only and must not be exhibited publicly, broadcast or reproduced""
It has a watermark through out the video that reads. I'm going to assume that the youtube site owner 1001Invenstions is the owner of said video. However I do have my doubts. But here is the funny thing. The video states clearly not for public dislplay and not for rebroadcast, and "Not for Reproduction". But type in 1001Inventions and what do you have? Muslims doing the very thing the video says not to do. Here is another one that reproduces the video with arab subtitles. Here is another one with Maylay Subtitles in which the youtube channel owner says "I am not the owner of this video." The point to all this is that Muslims are in clear violation of reproducing the video even though they are not the owners of the video. I thought Godtube was owned by ChristianPrince? For those who want the deleted video send me a mail and I will add you to my Dropbox sharing where you can download a copy of David's answer to 1001 invention propaganda. The file is known 1001 inventions and it's 53+ Mb and in MP4 format. If you have a server upload it and promote it. Muhammed only invented the quran, theres no way such a book can be from God. They have also refined the art of beheadings, honour killings and robbing caravans of their earnings. Oh they are also very cunning. Just a suggestion: you could modify your original video by removing the clips and only showing the text of quotations on the screen. They can't remove it for that. Try MRCTV used by Vlad Tepes and Blazing Cat Fur. Well... lets put it this way... this confirms islam is truely a repressive, suppressive, with feudalism as a foundation system. Lets have their videos janked for reasons of scam and fraud and fight the battle there. I just flagged their video, l'll wait and see what happens. @Derek: You're not being serious are you? How is it Ironic or "karma"? Do you believe that David wood does the same thing and censors people? When and where? perhaps you're thinking of Irony in the "rain on your wedding day" Alasin Morissette meaning? Glad that Liveleak put the video back up. By the way, it seems like 1001 inventions has got a lot of Saudi money and political clout behind it. I really don't understand how else could renowned museums like London Science Museum, National Geographic Museum and others could be duped into this obvious propaganda? It makes me wonder how much money was thrown and what kind of political influence was used. Please download this video as well and repost it on Youtube. Unfortunately, it hasn't been viewed so many times. His account was deleted many times over by Youtube because of "violations" and seems like he lost a lot of subscribers. Make a torrent, publish on ThePirateBay and/or similar sites, give us a link to the torrent/magnet link. ThePirateBay does not remove anything, which is good, and you said that video is legal, therefore its distribution is legal too.